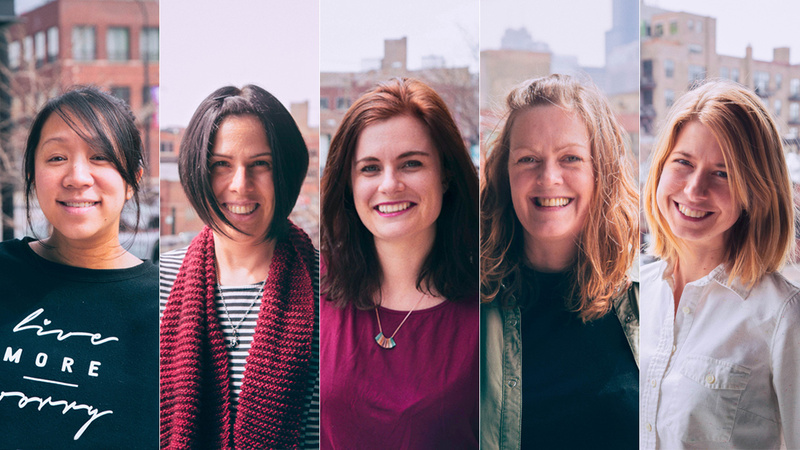 In honor of Women's History month, we sat down with five fierce, talented and strong women of The Mill Chicago. They share their wildly varied career paths and experiences in the industry. Along the way, they offer up pearls of wisdom and hopes for future generations of women and men of the industry. 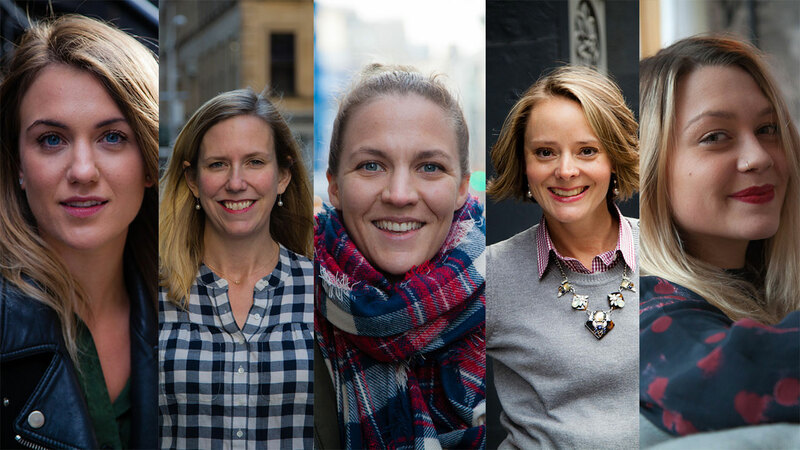 We're fortunate to work side by side with these mothers, daughters, partners every day and invite you to look outwards and acknowledge the wonderful talents you work with! What do you do? Tell us about your career path. I am an EP for Mill+ EP at The Mill Chicago. 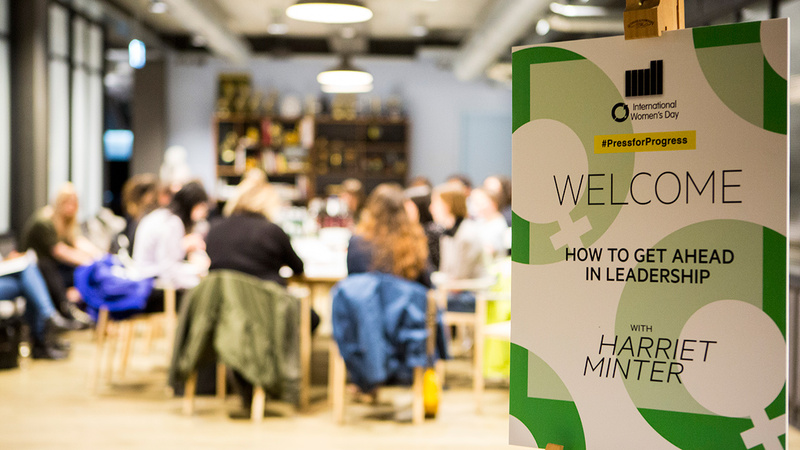 I started out as a runner at a small post house in London, and worked my way up through different roles, at various companies, until I landed as a Scheduler at The Mill London. I quickly moved in to Design to help start up the Design Studio there. After a short time as a Freelance Senior Producer, I was invited over to The Mill Chicago for a project in January 2014. That's when I fell in love with the city and the people. A few months later, I joined full time to help build the Mill+ offering, eventually becoming EP for the department. What advice would you give to women trying to get into male dominated fields? Stay strong and true to yourself. Stand by your strengths and determination. Make yourself indispensable. What type of adversity - if any have - have you overcome as a woman in the workplace? Would you do anything differently now? I was taught early on that I would have to fight harder as a woman and that men tend to have it easier. I'm not a very vocal person and like to keep my head down and work.I had to find it in myself to make my voice heard within the workplace, to start saying "no" and verbalizing my opinion, to start putting myself in a position where I could be the decision-maker and change some of this mentality. Far be it to say that I defeated 'adversity' but, I try every day. Know your worth and share it. How do you think men can contribute to women's empowerment? By listening and choosing to take the advice of women. And, by taking on the shared responsibility of ensuring that the culture of an office is fair, not just men leading the way, and, not a "boys' club'". This is so important! What do wish for future generations of women in the workforce? I wish for all voices to be better heard. I hope to see more women across all departments, fairer pay and, greated gender equality within management. Where are you originally from? Chicago, IL. I am the 3D Modeling and Texturing Supervisor at The Mill Chicago. I love art, and have been drawing since I was a toddler. I earned a degree in Illustration from Columbia College here in Chicago. I began my career doing illustration for a children's textbook company, and then moved into doing print and web design on computers, because there weren't a lot of options here for traditional illustrators. I had a strong interest in computer generated 3D art, because it blended cool, cutting edge technology and my love of illustration together perfectly. So, I moved to LA and attended Gnomon School of Visual Effects to learn the trade. After that, I began working in feature film, television, and commercials in LA until I moved back to the Midwest. I never want to make sweeping generalizations but there is still a false belief that women aren't technical, and that their jobs would be better filled by a man. I've run into that a lot, whether it's conscious or not. The qualities that have helped me are a strong independent spirit, confidence in my abilities, not being afraid to speak up and share opinions, determination, and patience. Being true to yourself is so important, too. People always respond better to coworkers that are easy to get along with, humble, and understanding - no matter the role, gender or backround! What do you wish for future generations of women in the workforce? I have seen the situation improve already, at least in our industry. I think it speaks volumes about The Mill's culture that women are celebrated and encouraged to take on leadership roles here. In 18 years of working in CG, I have had two female supervisors. I hope to see that change! Every year, more women are joining the ranks of companies and taking on more leadership roles, myself included. Perhaps boys growing up seeing their moms more active in the workplace will also help the next generation see women's roles differently. I am a Senior Editor at The Mill Chicago. I started as an MCR intern at a small post house in London and worked my way up to MCR Supervisor. In 2010, I joined The Mill London as Editor, then moved to NY as Senior Editor in 2014 and then to Chicago in 2016. Even if a field appears to be traditionally more male dominated, I think it's important to remember things are constantly changing and, at the end of the day you need to work hard to be the best you can be no matter what. Everything else is pure distraction. As you learn and grow, remember the times when you needed to ask questions and help those around you when they ask questions or, offer help when someone seems in need of it. This can be a tough industry and everyone needs support now and again! I've always been interested in the technical side of things and roles that are perceived as 'male dominant'. I went to the Liverpool Institute of Performing Arts University to study Technical Theatre and there was a good balance of men and women even back then, so it never occurs to me that technical roles are more suited for men or, that women are not interested in them as I'm lucky to have studied, learnt and trained with some amazing Engineers, Sound Technicians and Riggers in the UK. I already work with great women and men but it's always nice to see more women across all roles! I started my career in New York as a receptionist at an editorial house. Right then I decided this was definitely the culture and environment I wanted to stay in. I worked in London for nine years, mostly in post production for film before moving to The Mill London as Head of Scheduling. The rest is history! Every three years or so I've made a career move, until most recently, when I moved to Chicago. It's been amazing to be part of a company that offers so much career support and opportunity. Be fierce. Speak up. You'll grow confidence! Not really, no. The Mill really affords room for women to grow. We're constantly striving to create more opportunities for women in artistic roles. We have a big focus on diversity and inclusion across the board, as well. We've never regretted making that a priority. I hope we are not still talking about how underrepresented women are in Science, Film and Technical areas of business. I'm an EP here at The Mill Chicago. After working in feature film development while living in LA, I moved back to Chicago which is where I got into advertising. I restarted my career at Filmworkers and from there moved into agency producing which I did until I joined The Mill a little over a year and a half ago. Just as we hope others don't judge us, question our merits, or limit our opportunities because we're women, we need to hold ourselves to that same standard. It's easy to be one's own worst enemy and let self-doubt creep in about whether or not you should have your seat at the table. Follow your passion, embrace your experience, use your voice. How do you think men can contribute to women power? Value our experiences, the variety of such experiences, and recognize how they differ from their own. 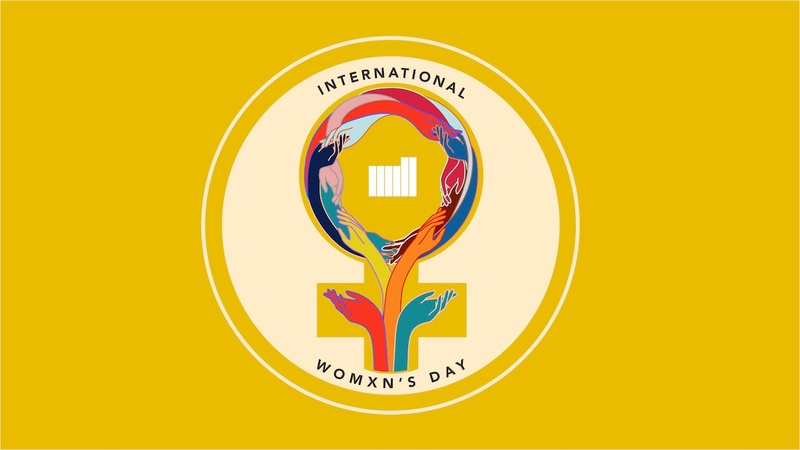 Take a look at International Women's Day 2018 across Mill studios here.